Gilat Satellite Networks Ltd. announced plans to acquire U.S. company and military satellite communications technologies developer Raysat Antenna Systems. Israel's company Gilat says it entered into a deal to purchase RAS, a developer of mobile satellite antenna technologies, to strengthen its footprint in the security and defense satellite communications market. Under the acquisition deal worth approximately $25 million, the U.S. unit of RAS will become part of Gilat's Spacenet Integrated Government Solutions subsidiary. Officials say the acquisition is expected to be completed before October. "With this acquisition, we plan to bring together two innovative leaders in the industry with complementary technologies," Amiram Levinberg, Gilat chairman and chief executive officer, said in a statement. "We believe that this partnership will lead to a new level of high-speed, highly mobile communications for the military, emergency response organizations and other markets with a need for fast, flexible, on the move communications." Gilat Satellite Networks Ltd. and Orbit Technology Group announced today that they have completed integration for Satellite Communications On-The-Move (SOTM) solutions to serve a wide range of industries. The new SOTM solutions provided by Gilat includes its advanced VSAT platforms with Orbit's Stabilized Satellite Communication Systems. These serve the complex mobile communications requirements of the ground and maritime markets. Gilat is a leading provider of products and services for satellite-based communications networks. 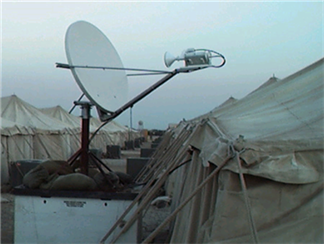 Orbit is a recognized leader in the development of advanced solutions for Stabilized Mobile Satellite Communication and Tracking Antennas. Recently, the integrated Gilat-Orbit SOTM solution was successfully deployed by Kazakhstan Temir Zholy, the national railway company of Kazakhstan. Gilat provided the integrated solution to enable the delivery of broadband wireless services to train passengers, representing the first satellite-based broadband service for train passengers in the region. Gilat's SkyEdge II VSATs together with Orbit's maritime antennas were also deployed on offshore oil platforms, vessels and exploration sites operated by China's CNOOC Oil Base Group. Joshua Levinberg, Executive Vice President, Corporate Business Development & Strategy, said, "We see the SOTM market as a growing market and an important building block in our growth strategy. Orbit has proven to be an excellent partner for efficient solutions in the various SOTM markets. We look forward to continuing our relationship with Orbit and to providing integrated solutions that meet the demanding requirements of these important markets." Avi Cohen, Orbit's President and CEO, said, "The market for SOTM solutions is growing rapidly. The integration of our Stabilized Satellite Communication Mobile SatCom systems with Gilat VSAT technology creates an excellent SOTM solution for key markets. In addition, Gilat's vast global network of experienced professionals delivers the dedicated support required to ensure the success of our joint solution." 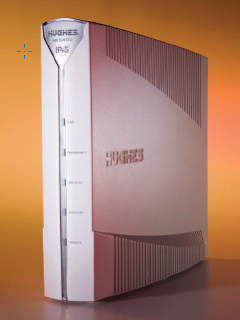 Spearheading the industry's move to high capacity Ka-band satellite systems, Hughes will unveil the HN9400, the newest member of its market-leading family of routers, designed to deliver the maximum performance on today's Ku- or Ka-band platforms, while being future-proof for next generation, high-throughput systems. The HN9400 is fully compliant with the highly successful IPoS/DVB-S2/ACM industry standard, supporting up to 60 Mbps of throughput on the forward channel. Incorporating advanced adaptive LDPC coding on the return channel provides up to 20 percent improvement in link performance, thereby enabling very efficient use of satellite capacity. Capable of operating in Ka- or Ku-bands and with upstream rates of up to 3 Mbps, the HN9400 is an ideal platform to deliver even the most bandwidth-demanding services on today's satellites, while being future-proof for next-generation, high-throughput systems. See all the Hughes service and technology innovations at Booth 1203 during the Satellite 2010 Conference, March 15-18, at the Gaylord National Convention Center, National Harbor, Maryland.